(WAUKESHA, WI) – Waukesha County Department of Parks and Land Use and the Town of Oconomowoc invite the public to an open house to discuss the creation of a Downtown Okauchee Zoning District and proposed amendments to the Waukesha County Shoreland & Floodland Protection Ordinance on Tuesday, January 22, 2019 between 6:00 – 7:30 p.m. at Oconomowoc Town Hall, located at W359 N6812 Brown Street, Oconomowoc. “The cooperative planning effort provides a great opportunity to examine existing zoning codes and recommend adjustments to enhance the ability of downtown Okauchee to attract businesses and customers to a vibrant downtown area,” said Director of Parks and Land Use Dale Shaver. Representatives from Waukesha County and the Town of Oconomowoc will be available to discuss the zoning district proposal and the ordinance amendments. They will also gather input and comments from the public. Exhibits will be on display showing the recommendations of the advisory committee. The meeting will be an open-house format with no formal presentation. Residents, business owners, town officials, lake district members, building contractors, developers, and others that would like to learn more or offer input regarding the proposed District are encouraged to attend this meeting and provide feedback. For more information on the project location and provisions, view the “News and Events” tab at www.waukeshacounty.gov/planningandzoning. Oconomowoc Town Hall is ADA accessible. Accommodation requests should be filed 48 hours before the meeting at 920-474-4449 to make arrangements. Hearing-impaired citizens may request an interpreter via the Wisconsin Telecommunications Relay system (1-800-WI-RELAY) at least three working days prior to the meeting. The Waukesha County Department of Parks & Land Use, working through a combination of collaboration, education and regulation is dedicated to fostering economic development, sound land use, and the protection, enhancement and enjoyment of the County’s natural resources and health of its citizens. (WAUKESHA, WI) – Thousands of homes in southeast Wisconsin have elevated levels of radon, a radioactive gas known to cause lung cancer. Waukesha County health officials are encouraging homeowners to protect themselves against this common health risk during National Radon Action Month in January by offering affordable radon test kits and other mitigation resources to residents. Radon is an odorless radioactive gas that is naturally present in the ground and can enter buildings through their foundations. Both old and newer homes can be susceptible to radon. Between 40 and 50 percent of homes tested in Southeast Wisconsin have elevated airborne concentrations on the main living level where people spend the most time, according to state data. An estimated 20,000 lung cancer deaths are caused by radon annually among non-smokers, according to reports by the Environmental Protection Agency and the U.S. Surgeon General. Thousands of radon mitigation systems are installed in existing homes in Southeast Wisconsin each year. There are more than 90 nationally certified radon mitigation contractors in Wisconsin, and more than 30 of those contractors are in Southeast Wisconsin. New construction should include features recommended by the National Association of Home Builders to reduce radon entry. Selected areas identified on the map will receive a chemical treatment to control the exotic aquatic plant known as Eurasian water milfoil. This non-native plant can interfere with navigational and recreational activities as well as harming native lake weeds. The chemicals will not be applied if the applicators feel conditions are unsafe, such as storms, heavy rain or high winds. We have allowed June 29th as a rain date. If conditions still do not allow treatment, you will be notified. Should you not want this treatment, please notify the Village Hall prior to this date. Call us even if you have a standing no spray request. The Village of Chenequa will be celebrating International Migratory Bird Day on Saturday, May 12th. All citizens are encouraged to celebrate this observance and to support efforts to protect and conserve migratory birds and their habitats in our community! The Wisconsin Department of Revenue (DOR) would like to provide the following information due to the increased number of inquiries related to property tax pre-payments. Property owners cannot pre-pay December 2018 taxes at this time. There is one exception–businesses ceasing operation may pre-pay personal property taxes on a commercial business any time before December 17, 2018 in the year it ceases. Today, we have decided to lift the slow-no-wake restriction on both Pine Lake and Beaver Lake. The lake readings are at an acceptable level for us to lift this ban. Should we get significant rainfall this weekend, we will reassess on Monday. Enjoy the lake! Bonita Zimdars was our previous Village Clerk-Treasurer (2005-2012). She left the Village in April 2012 after being diagnosed with ALS. Bonita passed away on Friday, June 30th from her battle with ALS. Bonita was a great person and she did her job well. She took ownership and pride in her position seeing that the village work was completed in a professional and complete manner. Bonita has been missed and will continue to be missed but at least she is at peace now. May our thoughts and prayers be with her and her family. Bonita R. Zimdars, 57, of Watertown passed away on Friday, June 30, 2017 at her home with her loving family by her side after a 5 ½ year battle with ALS. Bonita was born on March 3rd, 1960 to Norman F. and Joyce E. (Raymer) Duffrin in Hillsboro, WI, and moved to Watertown in 1965. Bonita graduated from Watertown High School in 1978, and then graduated from U.W. Whitewater with a B. A. in Business Administration. On October 10th, 1981, she married the love of her life, Kurt Zimdars. Bonita had three daughters who were her pride and joy; Stephanie of Watertown, Samantha and Kirsten both of Madison. She worked for Morgan Stanley Dean Witter for 20 years and the Village of Chenequa until her illness required her to take early retirement. She served her church in many capacities… Sunday School teacher, lector, communion assistant and served as treasurer of the Women of the ELCA for 4 years. Bonita served as Secretary of the American Association of University Women, and as treasurer. She also was secretary for the Municipal Treasurers of Wisconsin, and District Director for the Municipal Treasurers of Wisconsin. Bonita felt strongly about the importance of being a blood donor. Her happiest times were spent with family at Brewer games and other sporting events, and she especially had a deep love of music and loved to attend concerts. Walking her dogs was a great joy for her. Bonita is survived by: her loving husband of 35 years, Kurt; her three daughters, Stephanie, Samantha, and Kirsten, sisters Diane (Mike) Turke, Jayne (Todd) Barta, and a brother Todd (Amy) Duffrin. Also her brother-in-law Dale (Jean) Zimdars, as well as nieces and nephews. She is preceded in death by: her parents Norman and Joyce Duffrin, her mother-in-law Diana Zimdars, and her father-in-law Gerhard Zimdars. The family would like to thank the staff of Rainbow Hospice for the loving care they provided for Bonita. Especially Alicia, Christa and Terri. Memorials in Bonita’s honor may be made to the Watertown Food Pantry. A funeral service will be held at 11:00 A.M. on Saturday, July 8th, 2017 at Immanuel Lutheran Church in Watertown with the Rev. Todd Iverson and Rev. Terry and Sue Larson presiding. A visitation will be held from 9:00 A.M. until the time of service at the church. Selected areas of Cornell Lake will receive a chemical treatment to control the exotic aquatic plant known as Eurasian water milfoil. This non-native plant can interfere with navigational and recreational activities as well as harming native lake weeds. The chemicals will not be applied if the applicators feel conditions are unsafe, such as storms, heavy rain or high winds. We have allowed June 23rd as a rain date. We have instituted a phone message system that enables lake users to call in at any time and get an update. The message will indicate if the treatment took place as scheduled, and if not what plans have been made for the rescheduled treatment. To access this information line, dial 367-4681 and follow the instructions. WEED TREATMENT HAS BEEN RESCHEDULED FOR THURSDAY JUNE 29, 2017! 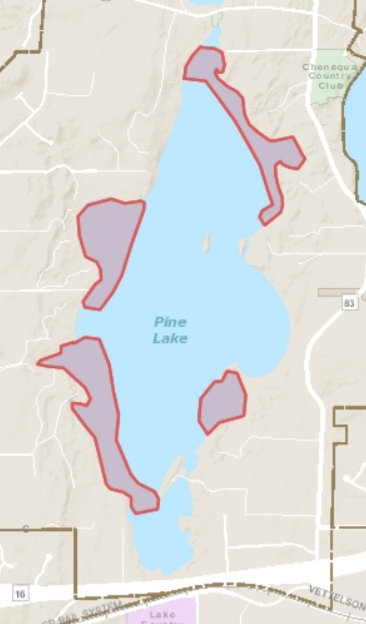 Selected areas of Pine Lake will receive a chemical treatment to control the exotic aquatic plant known as Eurasian water milfoil. This non-native plant can interfere with navigational and recreational activities as well as harming native lake weeds. We are the Indigo Girls and Guys Fundraising Team! Collectively the Birdathon hopes to raise $75,000 for bird conservation in Wisconsin, and we hope you will help us reach our team goal of $10,000. To provide an incentive, Colby Construction has offered to match all donations up to $5,000! Our focus is on Chenequa. Why? Because the Village of Chenequa was an inaugural Bird City, one of the recipients of the Bird Protection Fund of the NRF. Between April 15 and June 15, we will spend all or part of a day finding as many bird species as possible in the Village. You can donate a set amount to our team, or pledge an amount per species that we see AND you can join us as we search for birds. Our bird count date will be set in May when the migration is in its peak and the weather is favorable. Stop back and check in for updates. Your donation supports the Bird Protection Fund and state-wide projects that protect the year-round migrating, breeding, and wintering needs of Wisconsin’s birds. All donations and pledges are tax-deductible. Thanks to Colby Construction and to you for supporting our team, and for helping our state’s birds! $6,000 raised so far…$4,000 to go! Property tax bills are mailed annually in late-November or early-December following the annual budget process. Real estate property taxes can be paid in two installments due January 31 and July 31 of each year. The July 31 payment is payable to Waukesha County. Personal property taxes must be paid in full by January 31 of each year. Current and past tax bill information can be found on the Waukesha County Website. The municipality code is CHQV. You can now pay your taxes online to the Village of Chenequa through Point & Pay. There is a fee for this service. These fees are paid directly to Point & Pay; the Village does not receive any portion of these fees. All costs for use of a credit card or an eCheck for payment of taxes is the responsibility of the taxpayer. On Tuesday, September 6th, the Wisconsin Department of Transportation is scheduled to begin an intersection improvement project at Highway 83 (Hartland Road) and Highway K/Beaver Lake Road. The contractor, Musson Bros. Inc., is planning to complete the $328,500 project this fall. Utilities have been working in advance of the DOT project. The schedule of work is weather dependent and subject to change. More information can be found on the project website at projects.511wi.gov/83k/. The Village of Chenequa has recently hired one of its newest employees, Cody Lincoln. Who is a recent graduate (2015) from the University of Wisconsin- Stevens Point with majors in both Forestry Management and Urban Forestry. His primary focus will be managing the forests of Chenequa and assisting in the Public works Department. Throughout college, Cody worked to build his skills and gain field knowledge by joining a Tree Service in Waukesha. Cody is an Okauchee Lake local who has always had a passion for the outdoors since he was just a boy which is what drove him to pursue his career in Forestry. 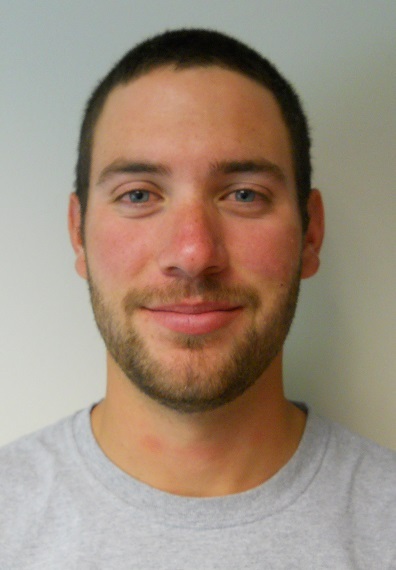 Outside of work, Cody is an avid outdoorsman who enjoys bass fishing, hunting, kayaking and hiking. He is looking forward to working and getting acquainted with the Village residents. He can be reached by e-mail at clincoln@chenequa.org or by calling the Village Hall at 262-367-2239. A professionally designed version of Oak Harvesting Guidelines is now available online at the DNR website. Learn if your property is at risk, how to reduce the spread of Oak Wilt, how to know if a yard tree has Oak Wilt and so much more. Click here for additional information. 1. Conditional Use Permit (CUP) for the Highway 83 operation and winter access at NLYC must be approved by the Town of Merton Planning Commission and Town of Merton Board (in process). 2. The Waukesha County Planning Commission also must approve CUP for the Highway 83 Public Access operation and winter access at NLYC (in process). 3. Army Corp of Engineers must issue a permit for the Highway 83 Public Access operation (in process). 4. Reapply for a dredging permit from DNR for Highway 83 Public access Operation and DNR must issue that permit. The 2015 Wisconsin Act 79 was signed by the Governor on November 11, 2015. This Act provides the option for certain municipalities to post legal notices on their website and one other public place instead of posting in three public places. Click here to see full memorandum and Act 79. The Village of Chenequa will be posting legal notices on their website and using the main posting board which is located in the foyer as you enter the Village Hall. 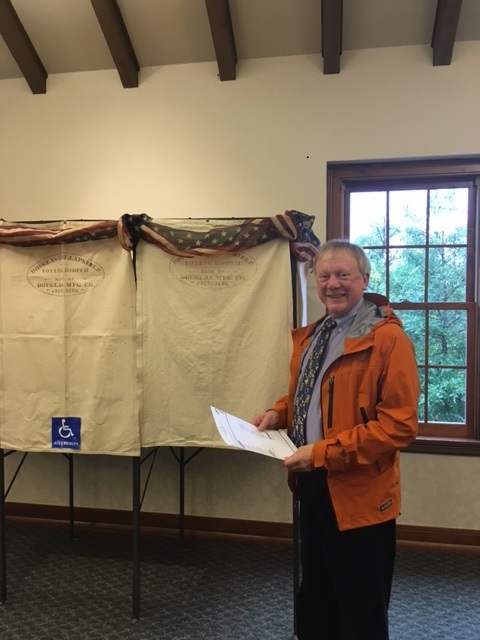 Dr. Richard Grunke cast the first ballot in our vintage voting booth Tuesday morning for the Assembly District 99 race. This voting booth was made by the Douglas Manufacturing Company in Crete, Nebraska. The company was founded by William W. and Elizabeth Robb Douglas. She is credited with the idea of creating a collapsible voting booth. According to company history, she pledged $20,000 to a missionary to Tibet without knowing how she would fulfill the promise. She then had a dream where she saw an old man with a long white beard who told her to make a steel collapsible voting booth. When she woke up, she used cardboard and sewing pins to put together a prototype. A patent was issued to the Douglases in 1906. When part of the family moved to Los Angeles, a factory was started there. In 1912 a factory was built in Crete, where it still exists. The 2014 Annual Report from the Southeastern Wisconsin Regional Planning Commission (SWRPC) has been released. This report describes the organization, objectives, and functions of the Commission. It also describes the Commission work programs for 2014 and presents in summary form the major findings and recommendations of the program. The DNR issued a press release concerning the dying of pan fish found this spring on Pine Lake. Click here for the press release. Susan Wilkey presided over her first Village Board meeting as President on Monday, May 11. Congratulations, Susan! The Village of Chenequa will be celebrating International Migratory Bird Day on Saturday, May 9th. All citizens are encouraged to celebrate this observance and to support efforts to protect and conserve migratory birds and their habitats in our community! A proclamation has been issued by President Foote proclaiming April 24, 2015 as ARBOR DAY in the Village of Chenequa. 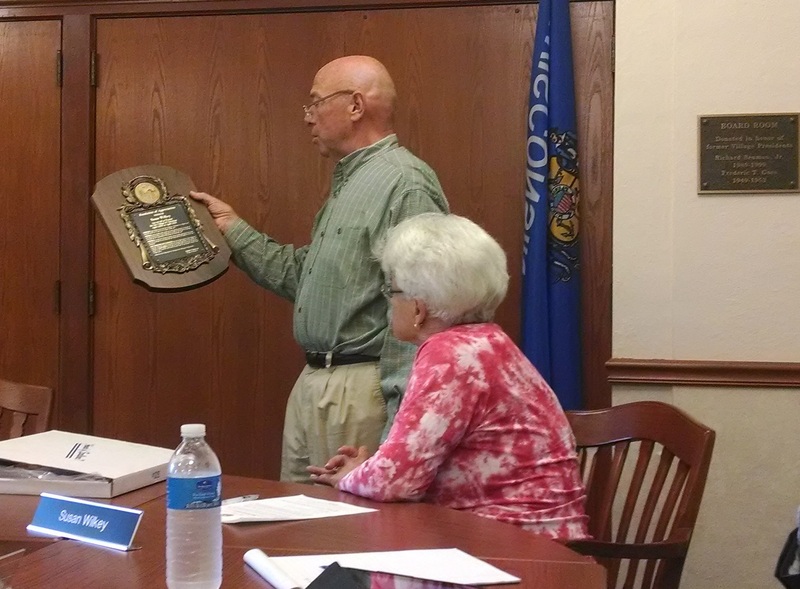 The citizens of Chenequa recognized Bronson Haase Monday night for his six years of services as Village Trustee. Bronson was instrumental in establishing the village’s personnel committee in 2001. The citizens of Chenequa deeply appreciate his time and service contributed to the preservation and improvement of the quality of life in our community. 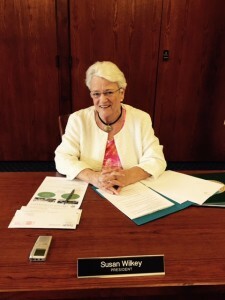 A Resolution of Appreciation has been recorded on the permanent records of the Village Board. Thank you Bronson! Chenequa was named a 2014 Tree City USA by the Arbor Day Foundation in honor of its commitment to effective urban forest management. Chenequa achieved Tree City USA recognition by meeting the program’s four requirements: a tree board or department, a tree-care ordinance, an annual community forestry budget of at least $2 per capita and an Arbor Day observance and proclamation. Chenequa’s property tax bills have been posted to the County’s website. To search for your property, click here. For a quick search, enter the residential number and not the street name. The Chenequa Village Board of Trustees would like to thank those residents who attended the public information meeting on Saturday October 25th. Turnout was reasonable and the residents who attended were in strong support of maintaining the services of the village as they currently stand and were in consensus to fully support the referendum to maintain current village services. Unique in so many ways….such as the unique services that are provided to its residents, services that the Village of Chenequa residents strongly desire and have come to expect. These services that are provided to the Village of Chenequa residents are in many ways the reason why the Village of Chenequa was created and incorporated in 1928. In order to continue to provide such services and cover the costs to do so – we need you to vote YES on the November 4th ballot so we can increase the village’s tax levy by $85,284. This would be approximately $187.21 per $1 million dollar of market value on your property. Your support and a YES vote would be greatly appreciated! We will be posting the Chenequa video submissions we receive! Keep checking back here for more submissions. The Village of Chenequa Police Department was challenged by Kurt Zimdars to respond to the ALS Ice Bucket Challenge on behalf of his wife, former Village Clerk-Treasurer Bonita Zimdars. Check out the challenge video and our response below! For more information regarding the Ice Bucket Challenge or to donate to the cause, please visit the ALS Association’s website. There will be a Public Involvement Meeting regarding the Highway 83 and Highway 16 proposed improvements held at the Hartland Village Board Room on August 20th from 4 pm-7 pm. Every Thursday in August, the Lake Country Fire & Rescue Department Fire Board will be having budget discussions until they have a proposed budget to present. Meetings begin a 6pm and are at Fire Station #1 on Main Street. Chenequa residents are invited to give input on the 2015 Fire Department Budget. Jack MacDonough has served the Village of Chenequa in a diligent and dedicated manner as Village Trustee. The citizens of Chenequa recognized and deeply appreciated his time and service contributed to the preservation and improvement of the quality of life in our community. A Resolution of Appreciation has been recorded on the permanent records of the Village Board. Thank you Jack! A Resolution Recognizing International Migratory Bird Day was passed and adopted by the Village Board on April 14, 2014. President Foote has proclaimed Saturday, May 10th as International Migratory Bird Day! A bird walk is being planned. Please contact Trustee Jo Ann Villavicencio for more details at jfvillavicencio@chenequa.org. A proclamation has been issued by President Foote proclaiming April 25, 2014 as ARBOR DAY in the Village of Chenequa. Appointments are now being made to review property assessments with Village Assessor Mark Link of Tyler Technologies. Please read the instructions and complete the request form for an assessment review. In 2010, the Waukesha County Communication Center updated their mapping system to assist first responders in locating properties. In 2011 to further assist first responders, new property address numbers and street signs were completed in the Village. It was brought to our attention that the addresses in the 53058 delivery area in the Village were scattered and inconsistent. No alpha house number prefixes were to be used. The Village as the authoritative source together with Waukesha County requested the USPS Address Management Systems Database be revised to accept the locally assigned addresses. We have been notified by the USPS that the addresses have been corrected. To avoid any mailings from being delayed and/or possibly returned to sender as “insufficient address”, please use the proper format for all correspondence. The final phase of this project will have Waukesha County updating addresses for property tax bills and the voter registration system. Thank you for your compliance and assistance. Virtual property records are now available which reflect assessed values as of January 1, 2013. For those of you who have been following the Village Board meetings over the past year, you’ll be happy to know that the Village Board has approved the construction of a new garage. Two unique opportunities presented themselves where the Village could move the entire operation onto one site. The Trustees have awarded the contract of the building to Ray Stadler Construction. Final details are being worked out on this state of the art, energy efficient building. Feel free to stop by the Village Hall to view the drawing rendered by TDI, Associates, Inc. We’ll be happy to answer any questions you may have. The Village of Chenequa has a new Assessor—Megan Bezanson with Tyler Technologies. She will be taking over duties starting immediately, and she will be working closely with the Village on the Board of Review. Prior to open books, Tyler Technologies will have assessment roll data available on their website. This information will be password protected. Residents will be notified via email when they can view this information. Please make sure we have your current email address by either calling the Village Hall at 262-367-2239 or by contacting Pam at: clerk-treasurer@chenegua.org. 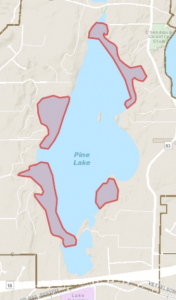 The Village of Chenequa has applied for a permit for Aquatic Plant Management of Pine and Cornell Lakes from the WI-DNR. Riparian owners may review the permit for both Pine and Cornell Lakes and a copy of the legal notice published in the Lake Country Reporter. Residents will be updated with the exact dates of the proposed treatments as that information becomes available. We will no longer accept phone/fax or email requests. Due to an overwhelming demand from the public, the procedure to acquire unprocessed venison from our sharp shooting program has changed. Please see the Venison Lottery 2012 PDF detailing this year’s Venison Lottery. The chemicals will not be applied if the applicators feel conditions are unsafe, such as storms, heavy rain or high winds. We have allowed September 19th and 20th , as rain dates. If conditions still do not allow treatment, you be notified. Should you not want this treatment, please notify the Village Hall prior to this date. Please call us even if you have a standing no spray request. We have instituted a phone message system that enables residents to call in at any time and get an update. The message will indicate if the treatment took place as scheduled, and if not what plans have been made for the rescheduled treatment. To access this information line, dial 367-4681 and follow the instructions. Bonita has been chosen to be a part of a stem cell research trial at the Mayo Clinic beginning in January 2012. Please feel free to drop off or mail any cards, messages and notes for Bonita to the Village Hall and we will happily forward them on to her. The Village is beginning a fund raiser for Bonita. This is outside of the government body and is being set up by residents of the village. Your consideration and support would be appreciated. Please see the attached PDF. Due to the extreme dry conditions, the Village has imposed a burning ban until further notice. The Fire Chief, injunction with the Police Chief and Village President have further imposed a banonall fireworksand other open flame type of devices such as flares, sparklers and other similar flammable objects until further notice. We ask for your cooperation and personal policing of this order. The Village Police Department will be actively monitoring this order. This decision was made for the protection of personal property and life. As of this writing, the professional fireworks will still be set off from the Pine Lake Island on July 4th. Should the decision come to cancel those we will notify residents by e-mail and post it on our website. As of now we are leaving that decision to the fireworks company and their potential liability. To clarify the burning ban, no burning of any kind which would include burn barrels, campfires and other sources of open flame fires. Grilling is fine but if you are using charcoal assure that it is properly stored and completely out before discarding. Have a safe and enjoyable 4th of July. Fire Chief Jack Edwards Police Chief Bob Douglas Rob Foote Jr. Effective immediately, until further notice, Fire Chief Jack Edwards placed a temporary burning ban until our dry conditions change. There was a small grass fire in the City of Delafield and some neighboring communities due to these conditions. Beaver, North and Pine Lakes will celebrate the 4th of July with fireworks beginning at dusk (9-9:30 pm). Here is the complete information in a Word document. On Tuesday, June 5, 2012, Pine Lake will be chemically treated for Eurasian Milfoil. Wisconsin DNR Invasive Species. The chemicals will not be applied if the applicators feel conditions are unsafe, such as storms, heavy rain or high winds. We have allowed June 6th and 7th , as rain dates for Pine Lake. If conditions still do not allow treatment, you be notified. The recommended precautions after treatment are as follows: NO SWIMMING for 1 (one) day following treatment and NO garden watering for 14 (fourteen) days following treatment. The Waukesha County Recycling office announces an addition to what is accepted in the recycling bin for residents. Effective immediately, plastic caps on empty #1 and #2 plastic bottles, jars and jugs are accepted, however the containers must be free of any liquids. So residents can now leave the lids on all empty plastic soda, juice, water, milk, detergent, and cooking oil bottles when they put them into the recycling bin. Download of PDF of the press release. All sites are open and free to any county resident (proof of residency required). Download of PDF of the dates. There are also 4 year-round sites in Menomonee Falls, Muskego, Waukesha, and Franklin. Visit www.waukeshacounty.gov/hazardouswaste or call 262-896-8300 for more information and information on accepted items. Beginning in 2012, you cannot receive a ballot until you have met ID requirements. (See the “Photo ID Exemptions and Exception” section.) Wisconsin does not issue a separate “Voter ID” card. Instead you must use one of the photo IDs listed below. Your photo ID does not need to show a current address. Download a PDF brochure for viewing and printing. The State of Wisconsin has instituted a new law that allows the concealed carrying of a weapon. That law takes effect November 1st, 2011. A permit is required to legally carry a concealed weapon which is available through the Wisconsin Department of Justice. For more information, please see the frequently asked questions. To read background information and control of Japanese Beetles, click here. Spring 2011 Recycling Newsletter from Waukesha County. The Village Board passed a resolution to recognize International Migratory Bird Day. Resolving to recognize IMBD, moves Chenequa closer towards its larger goals of preservation of the great outdoors and its inhabitants. IMBD celebrates and brings attention to one of the most important and spectacular events in the Americas – bird migration. The Village Board has designated the second Saturday in May as IMBD. We will have an educational celebration at our May 9th board meeting. We would like to establish an annual “Chenequa Birdwalk” led by an experienced local birder. Please email Jo Ann Villavicencio jfvillavicencio@chenequa.org if you are interested in volunteering to lead or participate in such an event. The Village of Chenequa, WI was recognized by the Bird City Wisconsin project as one of 15 communities in the state that have made a commitment to making themselves better places for birds and other wildlife. The Bird City Wisconsin partnership is affiliated with the national Audubon, the Milwaukee Audubon Society, and several other Wisconsin environmental and conservation organizations. The Bird City designation is in its inaugural year, and is modeled on the “Tree City USA” program sponsored by the Arbor Day Foundation. 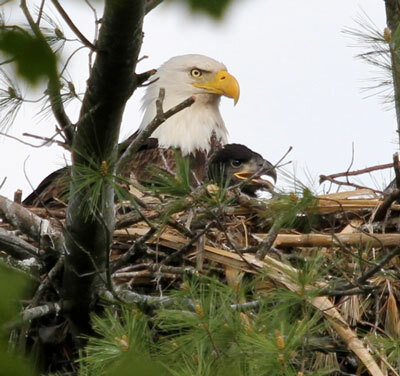 Bird City Wisconsin developed 22 criteria across five categories, including habitat creation and protection, community forest management, limiting hazards, public education, and recognizing International Migratory Bird Day. By amply meeting the established criteria, Chenequa became one of the nation’s first “Bird City” designees. Please join the Board on May 9th to celebrate our new Bird City Wisconsin designation. As of February 1, 2011, there are Wisconsin requirements for both smoke alarms and carbon monoxide alarms in almost all one- and two-family dwellings, regardless of the building’s age. The new carbon monoxide safety net is for dwellings with fuel burning appliances, fireplaces or attached garages. Read complete alarm information here (PDF) from the Wisconsin Department of Commerce. Pier owners may need to register before April 1, 2011. Many waterfront property owners with larger piers first put into the water before 2004 must complete a free, one-time registration before April 1, 2011. As required by a 2008 law, this will allow the pier to remain exempt from pier permitting regulations under a law passed in 2004. For more information and instructions to register, go to the Wiscosnin DNR website’s Pier Section. Village of Chenequa receives official flag, signs and plaque from Carl Schwartz, Program Coordinator for the Milwaukee Audubon Society, Inc. — Bird City Wisconsin. 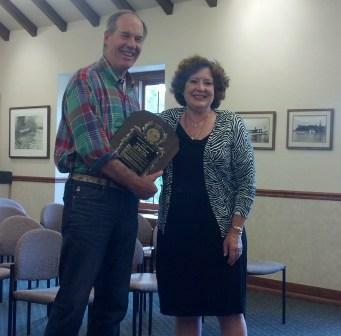 Pictured below receiving this award is Village Trustee, Jo Ann Villavicencio. She spearedheaded this effort with Carl Schwartz. Bird City Wisconsin Names Chenequa Among Nation’s First “Bird Cities.” The Village of Chenequa, WI was recognized by the Bird City Wisconsin project as one of 15 communities in the state that have made a commitment to making themselves better places for birds and other wildlife. The Bird City Wisconsin partnership is affiliated with the national Audubon, the Milwaukee Audubon Society, and several other Wisconsin environmental and conservation organizations. 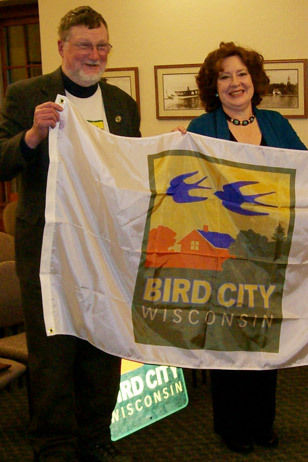 The Village Board is working diligently to seek Bird City Recognition from the Bird City Wisconsin. Towards that effort, many educational recources about bird safety from cats indoor policy, bird landscaping to attract birds and International Migratory Bird declarations were added to the website. Bird City recognition falls directly in line with the Village goals and purpose to preserve nature and tranquility. Birds are a key component of the total ecosystem. This past spring, the village board passed a resolution to recognize Intermational Migratory Bird Day (PDF). Resolving to recognize IMBD, moves Chenequa closer towards its larger goals of preservation of the great outdoors and its inhabitants. IMBD celebrates and brings attention to one of the most important and spectacular events in the Americas — bird migration. Bird Day is celebrated in Canada, the United States, Mexico, Central and South America, and the Caribbean. Public awareness and concern are crucial components of migratory bird conservation. Citizens who are enthusiastic about birds, informed about threats, and empowered to become involved in addressing those threats, can make a tremendous contribution to maintaining healthy bird populations. By modeling what can be done and involving people, their interest and involvement in stewardship can grow. One of the most successful vehicles for public education on migratory birds is International Migratory Bird Day (IMBD). Visit the International Migratory Birds website for more information. 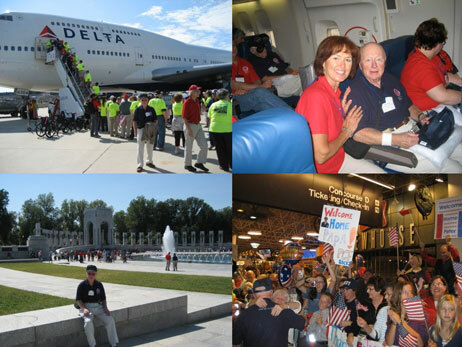 The Stars and Stripes Honor Flight to Washington DC on Sunday, September 19, 2010. The day was a filled with sightseeing and assorted tributes. Mail call during the flight home was a wonderful component of this day and Peter was delighted with the many letters from his family and friends. Thank you, Village Neighbors, for honoring him with your notes and letters of love and support. It was a very meaningful trip and a fitting tribute to all veterans who served the United States during World War II. Peter and his family thank you for contributing to this very special day. Below are a few pictures from his adventure. This fall, Waukesha County is initiating the Reduce Your Waste Stream Team Challenge, a friendly, waste-reduction competition between Waukesha County neighborhoods in 25 recycling partner communities. * The county is looking for passionate, energetic individuals to take on a leadership role. Team leaders will recruit several households in their neighborhood to participate in the challenge. All team leaders will receive a free compost bin. The ultimate goal of the Challenge is to identify those solutions that reduce waste, increase recycling and that participants feel are the easiest to do. With this data, the county can then initiate a county-wide program that will significantly reduce the overall waste stream in our communities, increase recycling and minimize what we put into landfills. 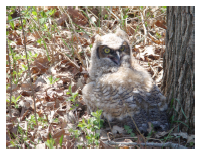 On the morning of April 15, 2010, after strong winds the previous evening, a Chenequa village resident and Board Trustee, spotted a juvenile Great Horned Owl huddled against the trunk of a tree near her home’s driveway. Not yet mature enough to fly on its own, it had sought shelter from possible predators under the tree. Download PDF story. 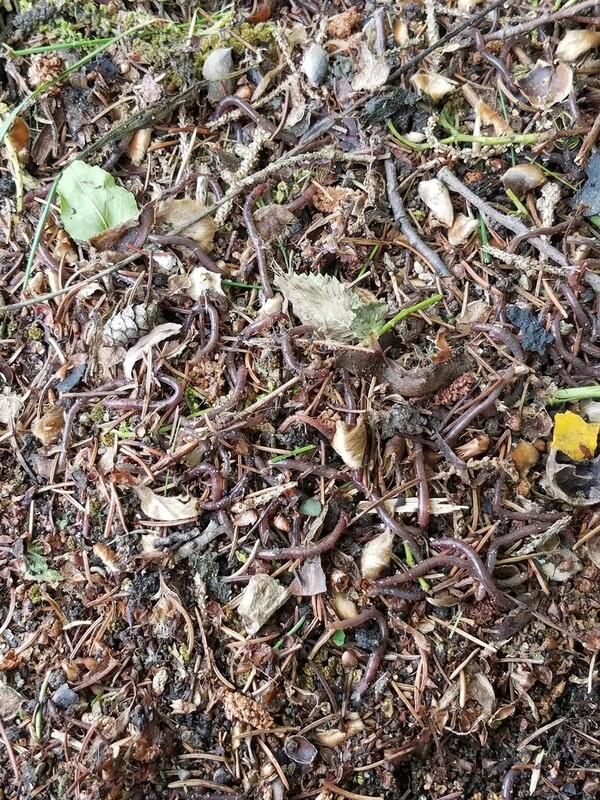 The Forestry Department has received several calls concerning Gypsy Moth caterpillars in their trees. 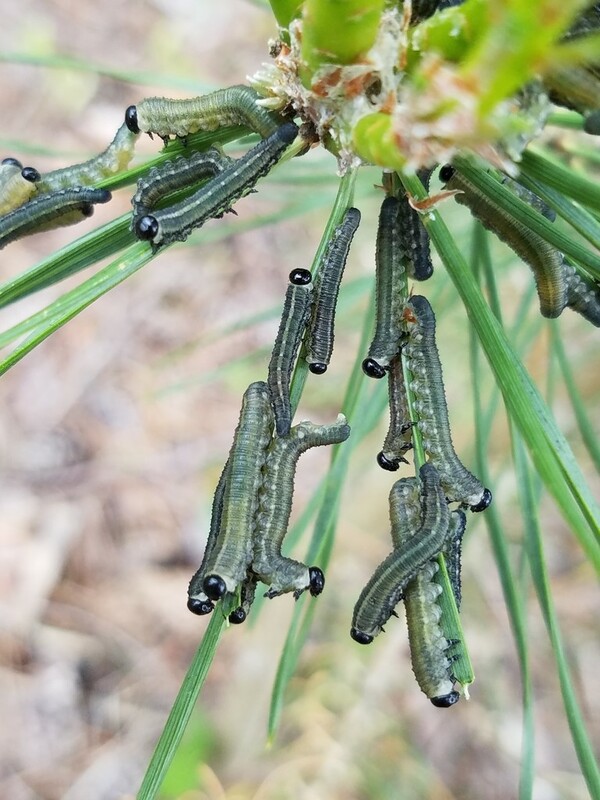 If you have large dark caterpillars crawling down the trunks of your tree it may be Gypsy Moth. Report any findings to Jeff Kante, Village Forester. Any report will be investigated and this will help locate areas which will need a fall survey. 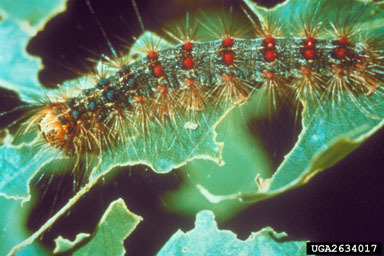 The Gypsy Moths are nearing the end of the caterpillar stage and little additional leaf damage is expected. Furthermore, many of the caterpillars are dying from a fungus and a virus which were released in 2003 as a bio-control measure. Please see photo below of a gypsy mothe caterpiller. Observance of the holiday will be on Monday, July 5. Garbage routes will be one day late. Read complete letter from Veolia (PDF). The liability for accepting residential and commercial public dumping onsite has become too great and the service will be discontinued on July1, 1010. Rented containers for general household and building materials will continue to be available. Read complete letter from Veolia (PDF). Tuesday, July 13, at the New Berlin Public Library • 6:30 pm. On Wednesday, June 9, 2010, Pine Lake and Cornell Lake were treated to control the invasive and exotic plant: Eurasian milfoil. The spraying previously scheduled for June 8th was cancelled due to the rain. Precautions: NO SWIMMING for one day following treatment and NO garden watering for fourteen days following treatment. of Hartland was hired on as a Part-time Officer. Orlin joins the police department with experience working for the Oconomowoc Lake and Summit Police Departments. Orlin has completed his orientation and will be filling in shifts as needed with our other part-time officers. Orlin has advised he has met some of the residents while on patrol please welcome him if you have the opportunity. With the warm spring weather many have an early start on the boating season and are enjoying the lakes in our Village. The police water patrol is out and encouraging safe boating and proper equipment. If you or a guest are planning to go out boating please take a few minutes before and check that you have the proper amount of Personal Flotation Devices (PFD’s) and a Fire Extinguisher if required. Knowing where these items are, if needed, is important. A review of the requirements concerning slow no wake near the shoreline, piers and other watercraft is helpful. If you need a current booklet of the State boating regulations stop and talk to our water patrol officers. Just recently ash trees around the state have been prematurely dropping their leaves shortly after the trees leafed out. Due to loss of leaves, affected trees have a thinner crown compared to nearby broadleaf trees of different species. Read entire document. Hartland Police Department Drug Collection as a on-going community service program. Prescription drugs have an impact on many different populations — drug abuse among teens and other populations, as well as accidental ingestion by children or senior citizens. With proper disposal of these drugs, we are able to help protect our community and our environment. New Village President: Robert T. Foote Jr.
was appointed by the Village Board of Trustees to serve out the balance of the term for Village President which was vacated by the resignation of Bryce Styza in November 2009. This appointment and term for Village President runs through April 2011.
of Hartland was hired on as police clerk and assistant to the Village Clerk. Please welcome her to the village when you stop in or call the Village offices. 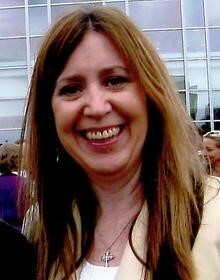 Pam was a part time police clerk with the Village of Hartland. Lynn Grosch who had that position moved on to the Town of Oconomowoc Police Department as it offered more hours and benefits. Thank you Lynn for your 13-plus years of service. 2010 brings a change in responsibilities for our two full time staff members in the Highway Forestry Department. Jeff Kante will oversee all lakeshore zoning and lake management issues, all tree and forestry concerns and other various projects. PJ Schampers will take over the snow plowing, roadway and roadside maintenance and fleet maintenance issues. Please keep this in mind when calling the Village Hall with your questions in these areas.